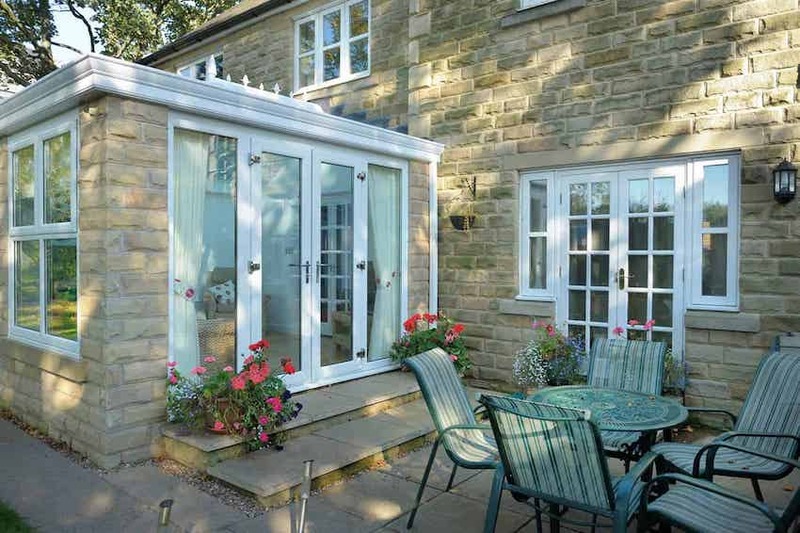 Orangeries are a highly desirable extension to homes in Leeds that offer a bespoke solution to adding space and light. Ultraframe orangeries are available in three different styles: Contemporary Orangery, Traditional Orangery and Lantern Orangery. 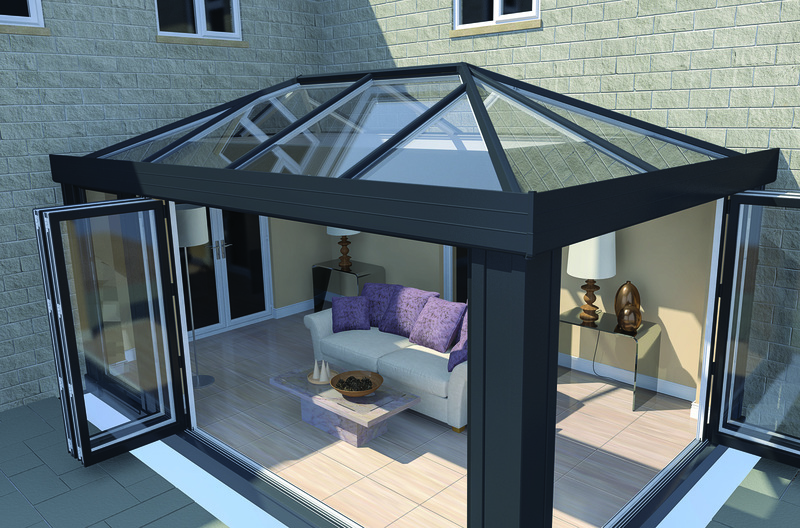 Our orangeries are FENSA registered and come with a 10-year insurance backed guarantee. Select Products is an Approved Ultra Installer; you can be certain of a high-quality installation and construction. To find out more about our affordable orangery prices why not give us a call on 0113 257 8933. 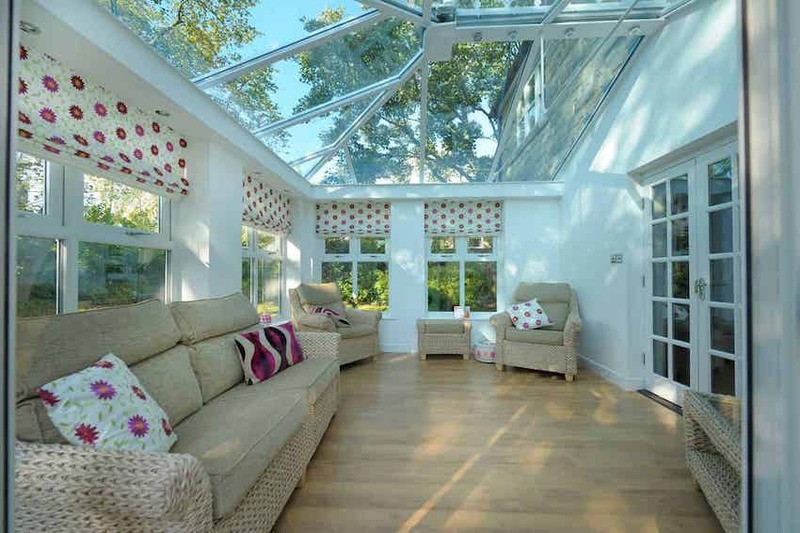 If you are considering an extension but would prefer the light and airy nature of a conservatory, then orangeries offer the perfect solution. Their elegant design and robust structure will certainly enhance your property’s features, providing you with a luxury extension. Ultraframe’s traditional orangeries offer a new style to the favourable atrium style of conservatory. Teamed with the latest developments in roofing systems, you can enjoy heightened energy efficiency and protection for direct sunlight, so your orangery won’t be too hot to use in the summer. The main features of traditional orangeries include brick pillars for a sense of splendour, as well as increasing privacy that you often don’t get with a regular glass conservatory. A fantastic option is to include bi-fold doors to really open up your living space on to your garden area. This orangery features an Ultra Sky roof from Ultraframe that will maximise light penetration into your new room. The super-insulated columns included as part of your room’s design will return thermal efficiency levels five times higher than brick, and you’ll be able to add sliding or bi-fold doors into the mix – resulting in a space that is always connected to the outside. Our contemporary orangeries can be further enhanced by adding a decorative cornice to the outside. This will improve the appearance of your roofline by hiding your guttering. You can tailor your newly-created room by choosing from an infinite range of colours and opt to install a wider insulated pelmet if you want to create a broader access point for family and visitors. Choose one of our lantern orangeries if you want to create a stunning focal point that family and friends alike are bound to comment on. This roof system will be suitable if you have a flat roof or deck and can be installed at a pitch of 25°. Our lantern orangeries can be delivered to site in an aluminium or uPVC format, and you can ask us to use more or fewer roof lanterns, depending on your design requirements. Speakers and lighting can be fitted into the structure of your flat roof. The insulated pelmet is compatible with conservatories, extensions and orangeries. We can fit in variable widths ranging from 300-1200mm. The structure is infilled with mineral wool insulation that will contribute toward your new room achieving a low U-value. An orangery that takes advantage of the Ultraframe insulated pelmet will benefit from a real room feel and function as a perfect space for relaxing or entertaining in. Add speakers and spotlights to complete your desired effect. Interested? Contact us for more details. We have a wide variety of orangery colours, designs and finishes for you to choose from. Traditional colours include the classic White but for a more period style with a wood finish opt for Light Oak, Woodgrain or Rosewood amongst others. A coloured foils range is also on offer include a variety of extensive colours including Sage Green, Cream, Grey, Black or Fir Green. There is also a selection of glazing options to decide on including Georgian bars, leaded diamonds or squares or the popular clear glass. 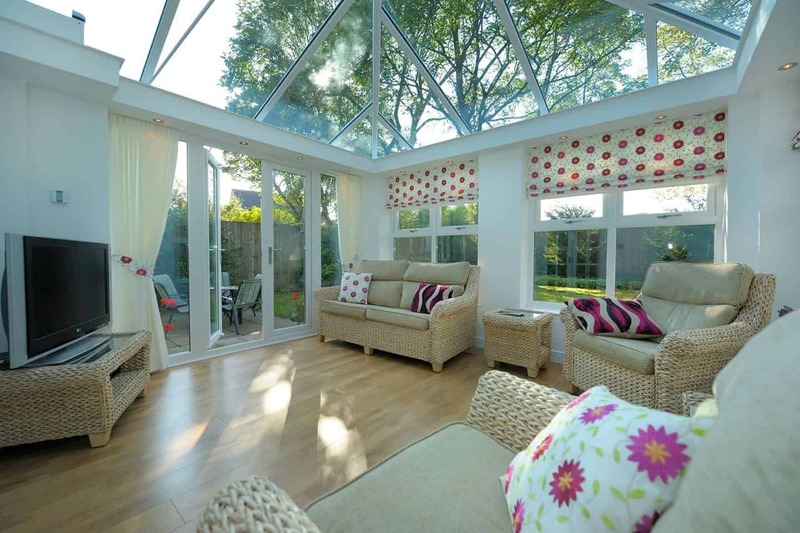 Our orangeries can be tailored to suit your design needs and budget. 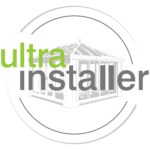 Because we are approved Ultra Installers – a scheme created by Ultraframe and independently audited and endorsed by Which? Trusted Trader – you can choose Select Products to help with your project. For orangery prices or advice about our product range, please call a friendly member of our team on 0113 257 8933. You can also send us a message via our website or request prices by using our design tool to generate quotes for orangeries and many other products. Alternatively, why not book an appointment online? We would be pleased to come and see you to discuss our orangeries in more detail. While there, we could review the proposed site for your installation and make some recommendations.